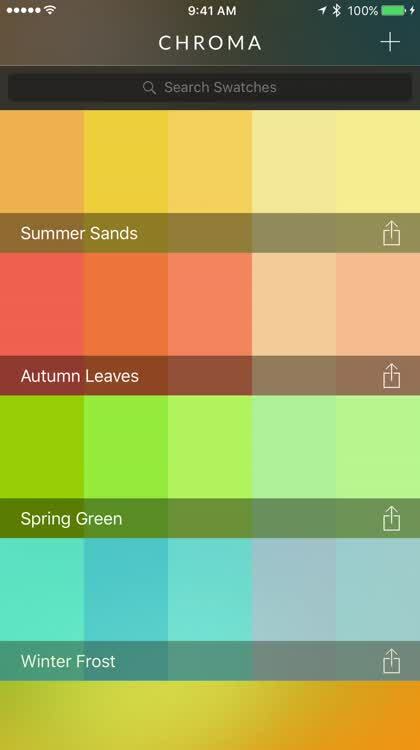 Chroma is a simple app that lets designers and artists create and edit color swatches on-the-go. 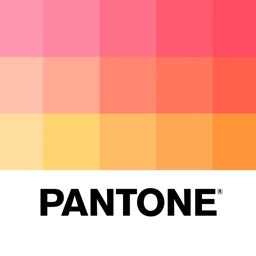 It's never been easier to find the right colors and share them. Beautiful Spring. 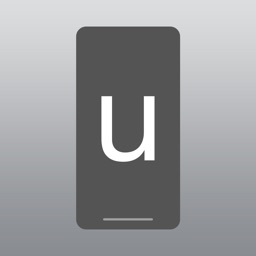 Chroma makes it easy for users to create and edit color swatches on the go. From customizing colors to generating palettes from images, Chroma is a powerful tool that allows users who are designers or artists to easily find the colors they love and send it to whomever they want. Winter Cold. No matter the colors you're looking for, Chroma has you covered. 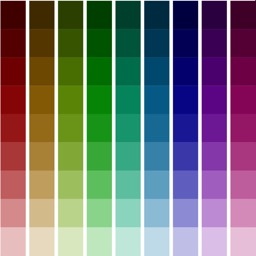 Generate, save, and tweak individual colors or color palettes. Chroma is a simple app that makes it easy for both designers and artists to create color swatches on-the-go. Additionally, you can edit the ones you've made at any time, in case you aren't too happy with it or feel that something needs to be added. 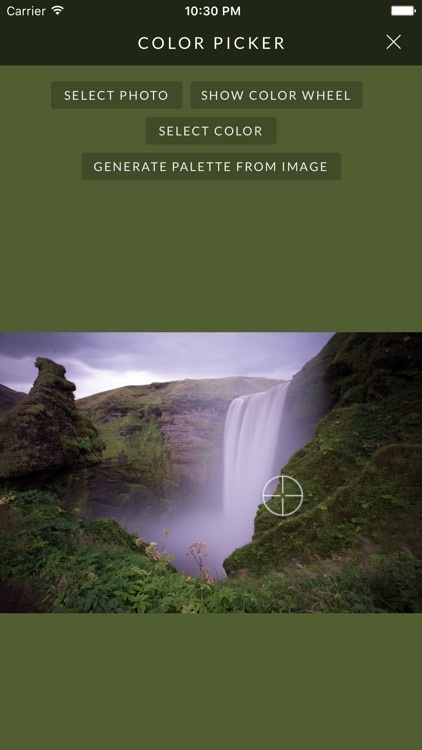 You can go through and organize all of your color palettes, generate them from images in your photo library, color wheel, or get random, harmonious themes. When you're satisfied, just share them with others and bask in your colorful glory. 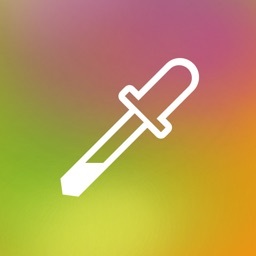 It's a great app for those who love to design and make colorful art. 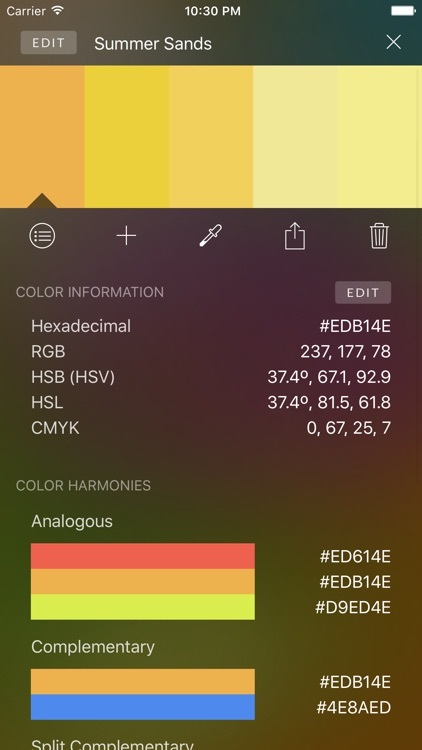 We like Chroma because it has a simple interface that is easy to use and makes it an easy task to create and edit color palettes to share among friends. 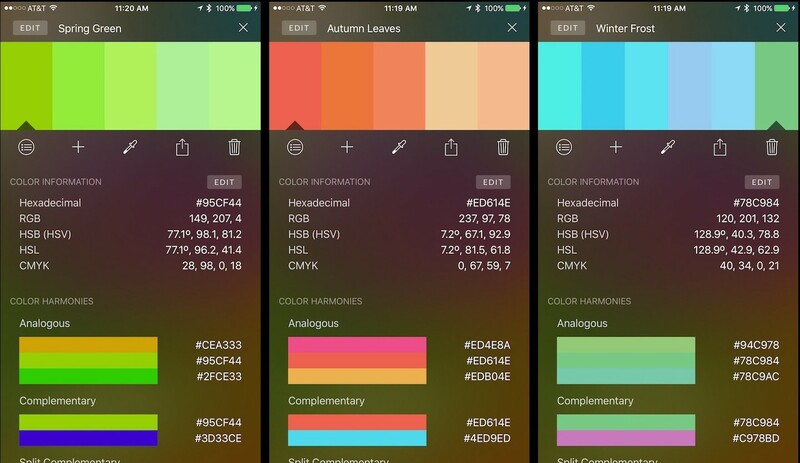 Chroma makes it easy for users to create and edit color swatches on the go. 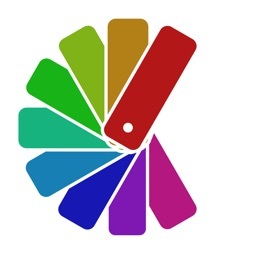 From customizing colors to generating palettes from images, Chroma is a powerful tool that allows users who are designers or artists to easily find the colors they love and send it to whomever they want.